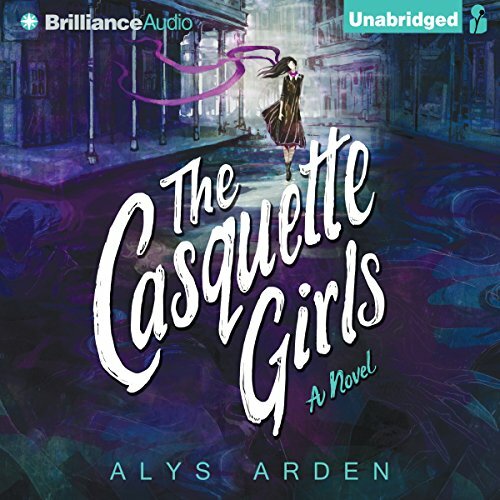 ©2015 Alys Arden (P)2015 Brilliance Audio, Inc.
4.5 ★ Audiobook⎮ Story-wise, this audiobook ranks somewhere between 4.5 and 4.75 stars. 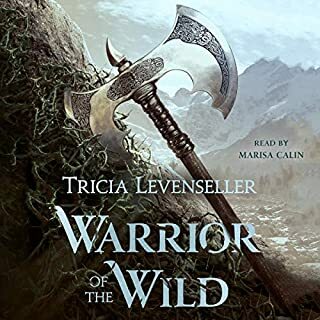 Certain elements of the story deserve a 4.75 star rating, like the world-building/atmosphere development and the use of culture to enhance the richness of the tale. For me, that was the best part about this story. I wasn’t at all shocked to find out that Alys Arden grew up in New Orleans because she wrote about the city and its culture(s) with the knowledge and ardor that can only come from an insider. The way she continuously described the city and its layout invited to the reader to mentally walk the streets of La Nouvelle-Orléans with the main character, Adele. I also relished in the numerous French phrases scattered throughout the book. They definitely added a lot to the story’s overall atmosphere and reflected New Orleans’ je ne sais quois most appropriately. A working knowledge of the French language would be helpful while enjoying this story. But don’t worry if you haven’t got one, you probably will have by the end of the book! My other favorite aspect of the story was its legendary basis. This is a fictitious story, based on a real legend. The fille à la cassette (Casket/Casquette Girls) did actually exist and have been the subject of much lore, especially in Louisiana, since the 18th century. That fact acting as the backbone of this novel is what sets it apart from other vampire fiction. I frequently bemoan the (over)use of vampiric characters, specifically vampire boyfriends because I feel that they are often unnecessarily and indiscriminately thrown into a plot (any plot) for cheap thrills. This practice, especially in young adult fiction, had very nearly soured my opinion on vampire literature altogether. That’s why I owe Alys Arden a debt of gratitude for reminding me that vampire fiction can still be enjoyable, when done correctly. Arden’s vampires struck me as more “Prince Lestat” than “Edward Cullen”, darker, meaner, and more dangerous. You know, like an actual vampire. Excuse me, but they aren’t meant to be cuddly. That, combined with the New Orleans setting, was very reminiscent of the CW’s hit show “The Originals”. The characters and the romance put the story more on the 4.5 star-ish side of things. Adele (the MC) struck me as a tad bit vexing and as someone who consistently failed to see what was right in front of her face, sometimes making my “suspension of disbelief” hard to sustain. I actually preferred Desirée (in the female side role?) to Adele. I was fine with the other characters, except Isaac (bleck! ), and very much enjoyed the cultural diversity they represented. There were hints of romance, some of which I was into and some of which I was not. I’m very, very peculiar about how romances are written and my usual stance is: Leave it to the Romance-genre writers. 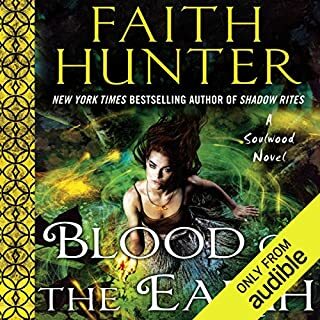 I didn’t start this audiobook looking for an epic love story, vampire or otherwise. I wasn’t terribly taken with the suggestions of romance in this story and, thankfully, Arden was kind enough not to put a romance in centerstage. I love long books. So I found this gem of a book when I sorted the Young Adult books by length. Boy, was I pleasantly surprised at what a good book I had found! I could really identify with Adele, the main character. I felt her confusion and pain and even her joy. I really appreciated that she was multidimensional and I felt like it was how I would feel if I had been in her shoes. This book really kept me guessing. I thought I had it all figured out but I was surprised by the end! I highly recommend this book, especially if you appreciate romantic vampire thrillers/mysteries. This was a Kindle Unlimited book that I got to read for free. Made the month's membership worth it! I love the combination of the history, storm and melding of supernatural elements. Keep in mind it is a young adult book, so there are some "sappy" love moments. I can't wait for the sequel which is due out in a couple of months. Very imaginative tale of magic in New Orleans. I am looking forward to listening to the next installment. Normally, I read. But I have a concussion, so no reading or screentime. Ugh. This tale kept me diverted for many hours. It also made me want to go back to New Orleans soon. 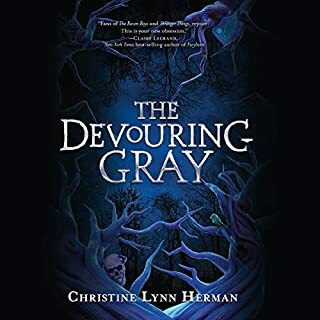 A fun and quick read that is full of vampires, witches, and New Orleans goodness without pandering with the usual voodoo mess. 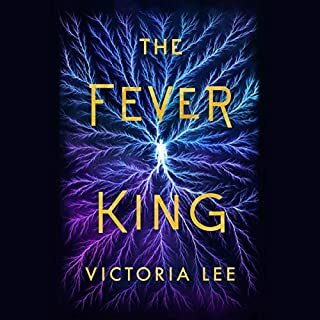 If you're into YA books, this one's for you - it was too young for me to truly enjoy. Also, not one of my favorite narrators. YMMV. Well. I really did enjoy this one! Kate Rudd's performance was amazing as usual! This was such a beautiful and wonderfully fun book to listen to. I think I'll have to buy a physical copy to reread in the future. There was so much going on and there are still some questions left unanswered... so I really hope Arden finishes book 2 SOON. Vampires and witches and shapeshifters, oh my! 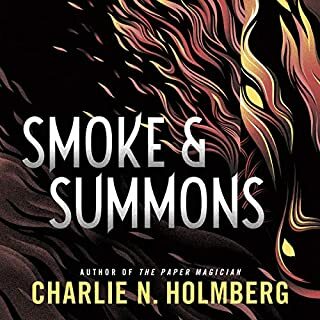 Seriously, this book had it all and I wasn't expecting there to be so much magic involved but this book took it all in stride. 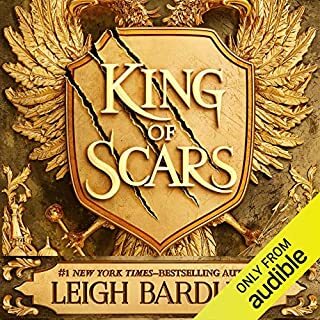 Highly recommend to YA modern fantasy lovers. Would you try another book from Alys Arden and/or Kate Rudd? What was most disappointing about Alys Arden’s story? It is so slow. Someone called it a quick read, it feels like it is dragging on and on. Did Kate Rudd do a good job differentiating all the characters? How? Maybe I am too old to appreciate it, but this is so boring. The "heroine" is not likable. Also the coincidences in this book are so unbelievable. She can't reach the light bulb, so out of nowhere she tries to move it with her mind and it works? AMAAAAAZING.